dealsnapt has been empowering business owners to engage and retain customers for almost 5 years. We continue to focus on what makes us different from the pack, namely the ability to continually grow the consumer base for our businesses through fundraiser, employee and promoter groups. We now have over 80 of these groups that continue to grow consumers for local businesses. We call this ACTIVE ENGAGEMENT. More consumers translate into more repeat customers and more revenue. Many business owners understand is that, in order to grow your business, you need to target a continually growing customer base. Most advertising platforms cannot make this assurance because they access the same people time and time again. Simply consider a mailer that goes to a group of homes. How does that address new visitors to the area, employees that commute into the area, and residents that are in a bordering are? It doesn’t. 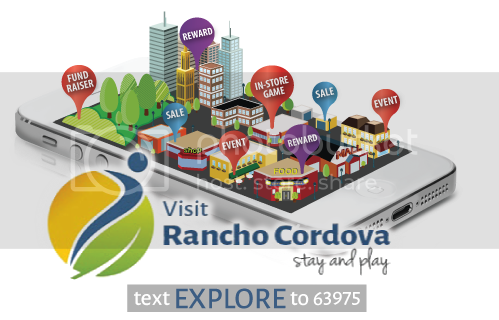 Our recent partnership with Rancho Cordova Tourism, the Chamber of Commerce and the Welcome committee is an example of how a program can actively engage visitors, residents, employees and local businesses. Visitors, residents and employees will now have access to activities, dining, and more all the time, right from the palm of their hands. Business owners get more customers as a result. Contact if you want to learn more or schedule a demo. It is very important to know how your marketing is working for you on an on-going basis so that you can adapt and improve. dealsnapt provides insights to you on a semi-monthly basis with key metrics and trends for customer acquisition, engagement, and retention. Businesses across our entire footprint are experiencing astounding results and we can show you how. The results below are for a small business owner with one casual dining restaurant . 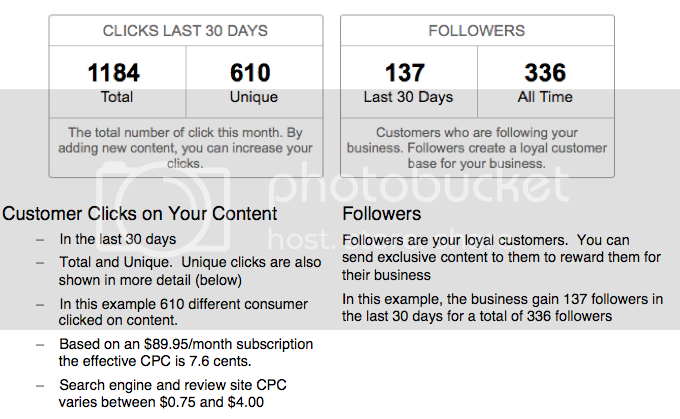 The section below shows that the platform encouraged 360 new customers, and 183 returning customers to click. In addition clicks are broken down by uniqueness, proximity, store vs. deal, and public vs. exclusive. Half of the unique clicks below came from within 50 feet of the storefront. The next section shows how the in-store game and discount credits are performing over the past 30 days, and all-time. You are always provided with the ability to update your account settings directly from the emails to minimize time spent and maximize results achieved. If you would like a report walk-though, no worries! Email us at me@dealsnapt.com or call 855-637-6278. When you are paying for marketing, you need to ensure that you clearly understand how you are being billed and what you are actually being charged for. Digital marketing platforms are using creative language when selling to business. One provider indicates that they will ‘promote you to 10,000 people in your area looking for a business like yours‘. Some people believe that this represents a ‘click’, but in digital marketing terms this is clearly an ‘impression’. This means your ad is potentially seen by a consumer, on a computer or mobile screen, and is similar to how traditional broadcast advertising works. A radio or television ad would use the same language. It is a potential view. There is no engagement component (a click). If it were a ‘click’, then the language would be more specific. 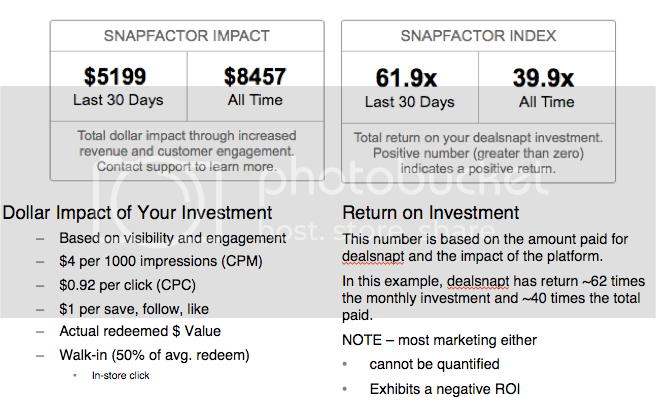 *estimate – dealsnapt provides UNLIMITED impressions and clicks to subscribers. The the estimate is based on actual results across the customer base based on what they paid. What is very surprising and more significant than being 50+ times more expensive than most other digital mediums, is that the advertising is greater than 2 times larger than the more expensive non-digital marketing (best case). Why would anyone 2-50x more than other proven methods? Side note – SMS Messaging (texting) is by far the most expensive digital method of advertising by a factor of 10 over search and mobile platforms. Make sure that you ask your provider how their numbers match up to industry standard metrics and understand how they rank. Your profits depend on it. Just ask. Our fundraisers are ready-made. We have made it very easy to enhance existing card programs or to start one from scratch. You will receive materials to help promote your fundraiser both electronically and through printed media. The program is titled ‘SNAP4’, requires no capital commitment, and the fundraiser receives 100% of the profits. Our fundraisers are great for schools, teams, leagues, charities and churches.